Here are just a handful of reasons to eat more fruit, starting right now. Then we'll look at how to do that in daily practice. To start, fruits are some of the most delicious foods on earth. Fruits need not be caught, captured or killed. Most fit perfectly into the human hand, which is designed with the fingers with which to pick it from the tree. It appeals to human taste, touch, smell, and sight. It cleanses the digestive tract of toxins, by gently scrubbing it with raw fiber. 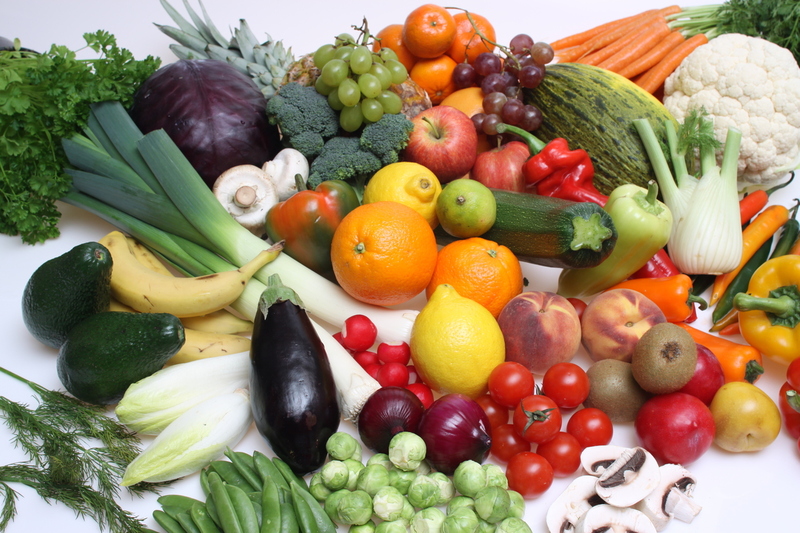 Fruit supplies nearly every vitamin, mineral, and phyto-nutrient needed to maintain a healthy life. As the vibrant health of those who consume fruit-rich, testifies. It is designed for our bodies, in nearly every way imaginable! 'From a scientist's point of view, man is nothing but the highest-developed animal, and, anatomically speaking, he belongs to the fruit-eaters. The shape and arrangement of his jaws and his teeth, the want of any natural organ for offence or attack, such as tusks or claws, prove that he is NOT naturally an aggressive animal, or a destroyer of life. The relative length and internal arrangement of his digestive canal, the shape of his skull, his hands and his feet, and his upright habits prove that his nearest surviving relatives among the highest animals are the man-like apes; the chimpanzee, the powerful orangutan, and the awe-inspiring gorilla. I've been on a high, raw fruit diet for years. During those years, I've challenged my body with what most would consider 'inhumanly tough' workouts; sessions consisting of hill running, sprinting, and hundreds of calisthenics, done daily; often for months at a time. Fruit has never failed me as a GREAT source of energy. Eat nothing but fruit before noon each day. A HUGE percentage of your body's energy is used to digest food. Fruit takes the least energy to digest. Yet it supplies the most in return. It is a superior source of carbohydrates; the body's primary source of fuel. Eat fruit only prior to noon each day. You'll feel light, satisfied, and full of energy. I've been doing this for years. It works! Reach for fruit BEFORE consuming other foods. There's no food on earth that packs more nutrient value into a smaller package than fruit - other than, possibly, edible green leaves. And fruit is rich in calories, while greens are not. Eat fruits before other food types. Do this, and you'll naturally consume far less of whatever foods happen to make up your main meals. You'll drop unhealthy weight. You'll build excellent strength, provided you're working out. And you'll have superior energy, from the inside out. Drink green smoothies. These are simply pure water, fruits, and leafy edible greens, like spinach, mixed in an inexpensive blender. Green smoothies will satisfy you like few foods on earth can. They're delicious, filling, and supply every vitamin, mineral, and nutrient needed to sustain a healthy life. Try one before meals. You'll love it! Eat whole meals of fruit more often. You'll get better and better at this as you choose fruit meals, over other types. Just a few bananas, and two or three apples you'll find, is enough to keep you satisfied, light and energized - often for a full day! Even if that day includes demanding work or exercise. Go a week eating nothing but fruits and edible greens like spinach and kale. Healthy chimps and gorillas in the wild do this. And you share about 99.4% genes with them - along with an almost identical physiology from the inside out. They live entire lives, consuming little more than a diet of fruits, green leaves, and a tiny amount of seeds and bark. Eat simply, as they do. And you'll enjoy a vibrant health that approaches theirs. There you have it friends - the 'why and how' to eat more fruit, now. Fruit keeps you healthy and vibrant. I can tell you that from my own experience. My exercise sessions have never been tougher or more demanding than they are now. And I'm approaching the 'ripe old' age of 50. My health - in every way! - has never been better. Eat more fruit. Add vigorous daily exercise. Do this and your strength and health will become as they've never been before. Copyright 2015, J. Sekerak, all rights reserved. Consult your doctor before engaging in any diet or fitness plan.